Think you would like to join? Here are the reasons you should: Make new friends, grow your social life, learn new skills, increase your confidence levels, be among people who care, choose from a wide variety of activities to suit your interests and fit around your other commitments. Still unsure! Call us for a chat, ask us all the questions you need to, we are a very friendly bunch and would love to hear from you. Theatre trips both locally and in London, meals out, social evenings, art classes, sport activities, knitting and sewing, discos, theme parks, trips to the seaside, go-karting, bowling and chocolate craft sessions. We run Clubs for three of our popular activities: Creative Art, Tennis and Kurling. These are offered at a reduced price based on the cost of individual sessions and have proved to be very popular. Payment, needs to be made two weeks before the activity, to guarantee consideration. This allows us to ensure we have adequate volunteer support and prepare all the necessary paperwork including emergency information. 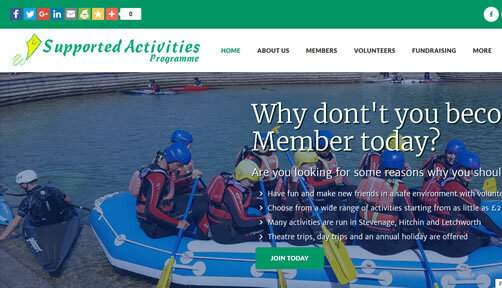 A member may only attend an activity if they are booked on it. 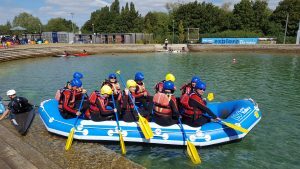 Supported Activities Programme has a duty of care for all our members from the moment they arrive for an activity until they leave. Getting to and from the activity is their responsibility.